TOPAZ HORIZON: Orange I glad I got a Gucci bag! 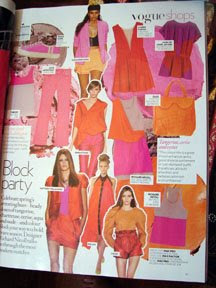 Everything hot pink, sunny yellow and bright orange is back! So, of course, I dug through my closet and found this old dress I bought from Karimadon about three years ago for a mere PHP500 (USD10). Don't you just love fashion? Never throw away anything because trends just keep coming back! When I finally got my limited edition Gucci shoppers bag! There's only 100 of these babies around the world, and I got one! Yippee! The bag comes with an 18-carat gold plated bag tag. I'm removing it, though. It attracts too much attention. I won this delightful prize with my blog post on the movie Confessions of a Shopaholic. The contest was sponsored by Columbia Pictures, Walt Disney Studios and Nuffnang Philippines (here I pose with them happily). Thank you so much! Now off to shop I go! I'm so envious! Drooling now! YAY! so happy for you though. Can I borrow for a day? Hahahaha! Congratulations on the win! Speaking of bags...now you have the perfect 'excuse' to enter my giveaway (check my blog for details)! Congrats on the bag. I like the tag though! Makes it special. You are one of the lucky ones that have a wardrobe that still fits after a couple of years! and I LOVE that orange dress the cut is amazing and you look great in that colour! Earthlingorgeous, Roanna, Fabulus, Mich and Bucca, thanks! Duni, I know! Such a cute bag you're giving away! But I'm all the way here in Manila. But, okay! I'll join =) I seem to be lucky! WendyB, I'm keeping the tag. It refuses to be removed and I can't do it without seriously damaging the bag! thanks for stopping by my blog. I totally understand. I worked in Jakarta a couple of years ago and it was the same thing! Each time I had to PAY to get my parcel. But I wanted to be fair and let my giveaway be open to all. Thanks!! HUGE congrats on getting the bag doll, it's fantastic. Hi! that was a fab prize! Congrats! Love the dress and so looooooooooove the bag! Congrats Frances! So you are the one who won the bag. Nice and Congrats! Got here through the nuffnang featured blogger of the month also. EIC of OK! mag. OK! mag is pretty good magazine because I checked it out for the first time this morning. haha! Duni, ya, I love my counry but there's a lot of thievery here. Sigh. DaisyChain, Michico, Vanity's Child, eMz, AustenFan, Jehzeel and Dinah, thanks! I love the new bag and the old dress! Randy, hey thanks! I'm pretty fond of OK! myself!